MilfordMD Cosmetic Dermatology Surgery & Laser Center Now Offering MediSpa Services. 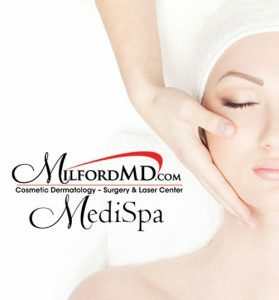 MilfordMD Cosmetic Dermatology Surgery & Laser Center, Milford, Penn., is now offering professional MediSpa services. It’s all under the supervision of a physician, using physician-formulated spa treatments, and delivered by a highly experienced licensed aesthetician and the practice’s newest staff member Andrea. MilfordMD Cosmetic Dermatology Surgery & Laser Center, Milford, Penn., is now offering professional MediSpa services. Adding a full practice-based MediSpa inside the MilfordMD office expands MilfordMD’s spectrum of cosmetic services by including facials, body waxing, peels, microdermabrasion and more. It’s all under the supervision of a physician, using physician-formulated spa treatments, and delivered by a highly experienced licensed aesthetician and the practice’s newest staff member Andrea. MilfordMD’s MediSpa offers preventive and restorative therapies aimed at improving overall skin health. 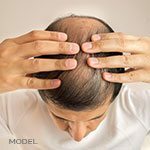 Therapies use physician-formulated products and are delivered by a licensed aesthetician. 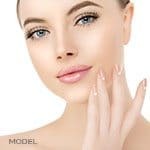 The MediSpa and professional skin care services offered also are a perfect fix-me-up for people who aren’t cosmetic surgery patients, but want to do something that noninvasively addresses skin aging, sun damage, unwanted hair and more. “The MediSpa is a beauty retreat for people who aren’t interested in having surgery, laser procedures, injectables and neurotoxins. Since the MediSpa services are offered in a physician’s practice, they’re considered safer and more effective than what one might get with at-home kits. We understand the skin and know how to treat it, regardless of whether we take a surgical or noninvasive approach,” Dr. Buckley says. MilfordMD’s MediSpa offers customized skin care options. For example, clients interested in the HydraFacial MD, which is an exciting advance in non-invasive, non-laser skin resurfacing and rejuvenation, can focus the treatment on skin health, pigmentation, problem skin or lines and wrinkles. Andrea will often use a combination approach, including LED technology or lymphatic drainage to achieve optimal results. Other MediSpa services include facials and peels—each designed with a goal in mind. The deep cleanse is for acne and oily skin, whereas the back facial addresses skin concerns on the back. The Parisian Peel MD is microdermabrasion, and this treatment to clear skin imperfections can target the face, hands and décolleté. Body waxing is one of Andrea’s specialties. Whether she’s waxing the legs, the bikini area, underarms, brows or performing a Brazilian wax, clients generally are more comfortable and get better results because of Andrea’s technique and quality of wax. “Our MilfordMD MediSpa clients are amazed when they realize how much more comfortable waxing can be when quality wax and proven techniques are used,” says Andrea, who has practiced as a licensed aesthetician for 11 years in the Tri-State area, including in Manhattan, the Hudson Valley, and the Poconos.